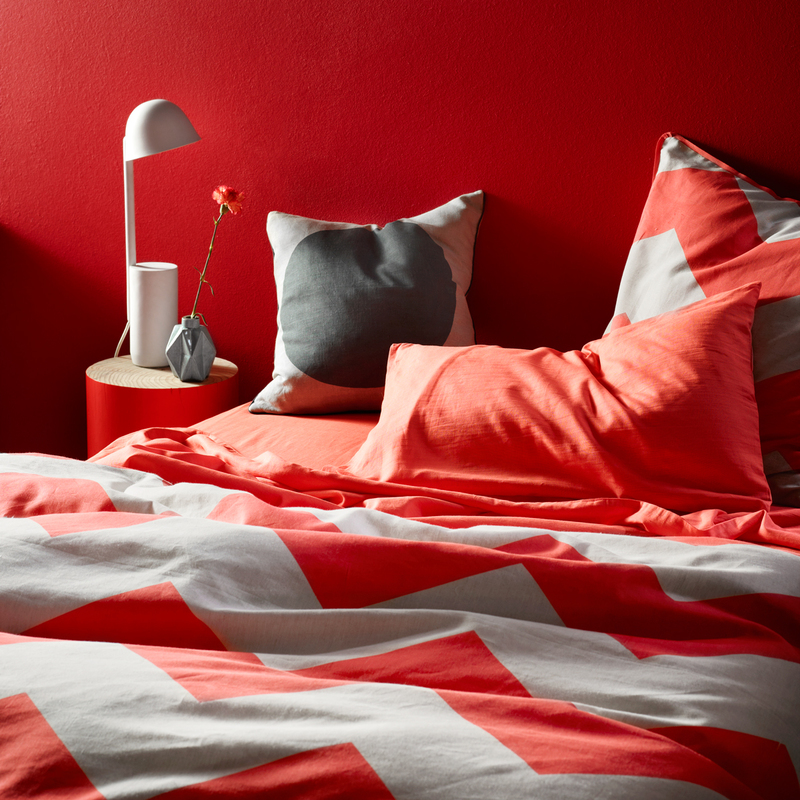 Quick way to brighten your bedroom for spring? Add a colourful pattern or print: art on the wall, rug on the floor or sheets on the bed. You can't get any fresher than Aura's new range of patterned bedlinen out this week. These oversized chevrons in coral to go...please!